LOS ANGELES—The Judicial Council’s Language Access Plan Implementation Task Force will hold a public meeting in Los Angeles on October 20 to listen to community members and discuss efforts to increase language access to the courts for limited English proficient (LEP) court users. Meeting topics will include: providing interpreters in civil cases, improving education and resources for the courts and the public, funding needs and strategies, and how to track progress on increasing language access to the court system. Roughly 20 percent of Californians—nearly 7 million—have some English-language limitations, making it difficult to access the courts without significant language assistance. 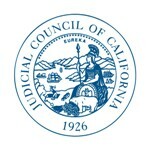 The Language Access Implementation Task Force, chaired by California Supreme Court Justice Mariano-Florentino Cuéllar, has been charged by the council to make recommendations on how to implement its Strategic Plan for Language Access in the California Courts. The public meeting will be held on October 20, from 10 a.m. to 4 p.m., in the auditorium of the Ronald Reagan State Building, 300 South Spring Street, Los Angeles. Language assistance provided at the meeting will include: American Sign Language, Spanish, Korean, Mandarin, and Vietnamese. A live audiocast of the meeting, as well as closed captioning (in English and Spanish), will be available on the Language Access webpage. In addition to commenting at the meeting, members of the public can also e-mail comments to LAP@jud.ca.gov. Written comments received by Oct. 19, 10 a.m., will be provided to task force members for the October 20 meeting.